Yash Chopra’s yet officially untitled project which is rumored to be titled London Ishq is set to release in Diwali this year. The movie marks the return to the director’s seat for Yash Chopra. 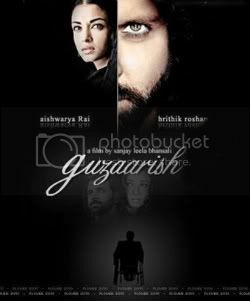 His last film was the blockbuster Veer Zaara starring Shah Rukh Khan, Preity Zinta and Rani Mukherjee in the lead roles. The film features Shahrukh Khan, Katrina Kaif and Anushka Sharma in pivotal roles, making it the first film to pair Khan and Kaif and the second collaboration between Khan and Sharma (the first one being, Rab Ne Bana Di Jodi). The highly anticipated soundtrack is to be composed by A.R. Rehman, who will be working with Yash Chopra for the first time. Expectations are definitely sky high from them music as well as the movie – London Ishq. The trailer of London Ishq will hit the screens soon. 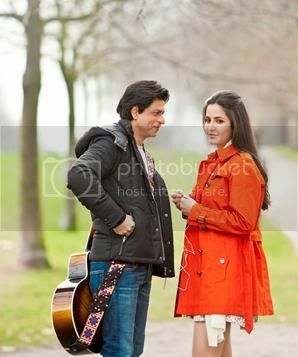 Till then here are some exclusive pictures from the Shah Rukh, Anushka and Katrina starrer London Ishq. 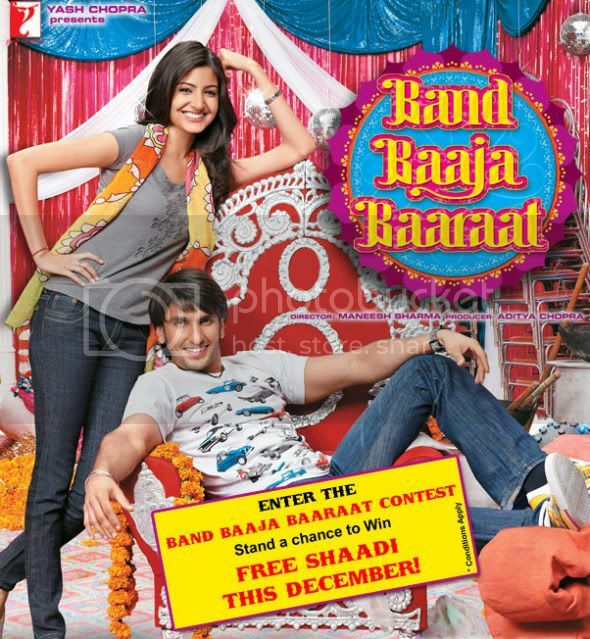 Yash Raj Films next offering this year is Anushka Sharma and Ranveer Singh’s Band Baaja Baarat. The movie is based in Delhi. Produced by Aditya Chopra, the film is about two people – Shruti and Bittoo – who are just out of Delhi University. A chance meeting brings them together to reluctantly start an entrepreneurial venture – Wedding Planners. The two of them however decide that it will be only business and no love shuv. But in the city of love, doing a business of getting hearts together, can the couple look at a better opportunity. The film is directed by Maneesh Sharma, who worked with Aditya Chopra as an associate director on Rab Ne Bana Di Jodi, with music by composers Salim-Sulaiman. A thing to be noted is that this is Anushka’s third film and third one with Yash Raj Films too. Do you smell something cooking here? Catch a sneak peak at thee theatrical trailer of the movie. While the promo is good as are most Yash Raj Film promos, the absence of a strong actor in the lead may be the films initial biggest pitfall. After charming audiences in Aditya Chopra’s Rab Ne Bana Di Jodi, Shah Rukh Khan is all set to woo audiences playing the role of a superstar in Priyadarshan’s comedy Billu Barber. The movie has Irfan Khan playing Billu the Barber and Lara Dutta stars opposite him. Check out some exclusive pictures of Shah Rukh Khan and Kareena Kapoor in a song from Billu Barber. While Kareena looks smoking hot, Shah Rukh looks real old, age is showing up now. Rab Ne Bana Di Jodi may not have created the magic that Dilwale Dulhania Le Jayenge managed. But Shah Rukh Khan and Aditya Chopra is one jodi made by Rab himself, they definitely can not go wrong. The simple love story between Shah Rukh Khan and newcomer Anushka Sharma has worked wonders, with theatres seeing packed audiences. The music by Salim Sulaiman too has created quite some buzz, topping the charts until recently being displaced by A.R. Rehman’s Ghajini. Catch the video of the wonderful love ballad Tujh Mein Rab Dikhta Hain from Rab Ne Bana Di Jodi sung beautifully by Roop Kumar Rathod. Yash Raj Films has turned into a factory of sorts, churning one movie after another. 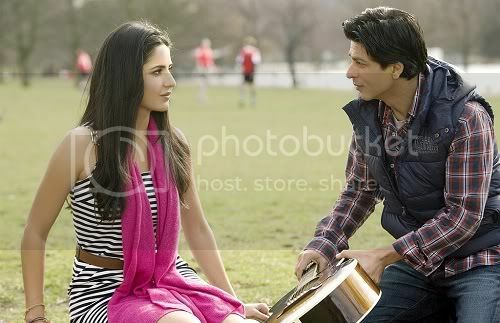 After Rab Ne Bana Di Jodi, the next big film from Yash Raj Films is Kabir Khan’s New York. Kabir Khan had earlier made the critically acclaimed Kabul Express. And with New York, Kabir Khan goes huge not only in terms of his canvas but also with the huge starcast of John Abraham, Neil Nitin Mukesh and the current hot girl of Bollywood, Katrina Kaif. New York, a romantic thriller is based on international terrorism and set in New York. John, Katrina and Neil play three friends discovering a new world. All of them have different characteristics and qualities. With just one thing common between them, they are all Muslims. One day the world around them changes completely and they realize that the common thread between them is their religion. New York also has Irrfan Khan plays an investigating officer. After wooing the audience in Aditya Chopra’s Rab Ne Bana Di Jodi, Shah Rukh Khan would be seen next in Priyadarshan’s Billo Barber. Billo Barber is a story about a barber (Irfaan Khan) whose life is turned upside down when his superstar friend Shah Rukh Khan comes to visit his village. The movie has Lara Dutta playing Irfaan Khan’s wife. Kareena Kapoor, Deepika Padukone, Priyanka Chopra and Katrina Kaif play small guest appearances in the movie. Biilo Barber is a Sudama Krishna story of new times. Billu (Irrfan Khan) plays a small time village barber whose business is running low because he has not been able to upgrade himself according to the changing trends. One fine day, a film unit visits his village to shoot a movie. It stars a superstar (Shahrukh Khan), who was once Billu’s school friend. All at once, Billu’s status in the village changes, and he becomes highly respected. Everyone wants him to meet the superstar. But Billu is unsure, as he feels he cannot compare to the superstar’s status. Besides, he fears that the star may not recognize him. He makes many attempts to meet the star but fails. After all these hardships, he gives up. But people think that he lied about the relationship with the star and start insulting him. His family and children also gets upset. In the end, for an invited school function, the star reveals his past. He tells the audience that in his school days he had a friend who always stood by him in his hardships. He tells how much the friend helped him by providing food when he was hungry, provided clothes when he did not having any. He tells that the friend gave him the money to join acting by selling his ancestral ear ring and that friend happens to be Billu. At that time the people recognize Billu and the movie happily ends. Billo Barber, is a remake of the Malayalam film Kadha Parayumbol, has already been remade in Tamil as Kuselan starring Pasupathy and Rajinikanth following a poor box office reception. The project is scheduled to release in February 13, 2009. Catch the first look trailer of Shah Rukh Khan and Irrfan Khan’s Billo Barber. Starring Shah Rukh Khan and Anushka Sharma’s, Rab Ne Bana Di Jodi is a simple love story that most of us will relate too. 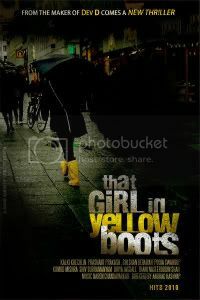 An ordinary government employee falls in love with a beautiful damsel. Luckily for him, both of them get married. But the girl is not happy with the marriage. What she vies for is love and that she can hardly feel for her husband. 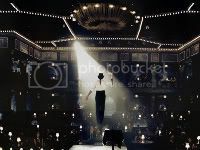 Burdened with a marriage, she tries to overcome her sorrows by participating in a dance competition. But there is one problem, the competition requires her to participate along with her husband. How dance gets two of them close and blossoms love between the couple forms the gist of the story. The Shah Rukh Khan and newcomer Anushka’s film Rab Ne Bana Di Jodi is all set for a release on 12th December 2008. Aditya Chopra handles the mantle of a director after a real long time. The music by Salim -Sulaiman have already clicked with the audience and are topping the music charts. Jaideep Sahni has done a fantastic job with the lyrics too. Check out the peppy video of Chance Pe Dance, with Anushka trying to teach Shah Rukh Khan a step or two in dancing. Expect a fun filled romantic film coming your way on 12th December. Rab Ne Bana Di Jodi may be cliched but it is going to ROCK! Yash Raj Films release Rab Ne Bana Di Jodi will see the power packed pair of Shah Rukh Khan and Aditya Chopra together after a very long time. Their lost two films were big big superhits, Mohabbatein and DDLJ broke all box office records after their release. Starring Shah Rukh Khan and newcomer Anushka Sharma, Rab Ne Bana Di Jodi is an extra-ordinary love story of two very simple people. While after the promos there were some rumors of Shah Rukh playing a double role in the film, none of it is true. SRK infact goes through a makeover in the movie to help his lady love Anushka win a dance competition in the movie and inturn win her heart. Rab Ne Bana Di Jodi has some rocking chartbuster music by Salim Sulaiman and choreography by Vaibhavi Merchant. Rab Ne Bana Di Jodi is set for release on 12th December, expect it to run to a packed house. For now here’s a theatrical trailer of Rab Ne Bana Di Jodi. If you were grumbling to the low quality of romance and the absence of unadulterated love in today’s cinema. Then guess someone has heard you. Aditya Chopra and Shah Rukh Khan which together have given Bollywood one of it’s finest film to date, Dilwale Dulhania Le Jaayenge, are back to woo the audience. Aditya Chopra has written and directed the movie, which will have SRK star in a double role. Titled Rab Ne Bana Di Jodi, with newcomer Anushka playing the lead role opposite Shah Rukh Khan, RNBDJ is a simple love story, with music and dance as the back drop. Salim Sulaiman the talented music duo get a real big big break working with Aditya Chopra for his comeback venture. This year has been rather dull for Yash Raj Films, Bachna Ae Haseeno, Roadside Romeo, Tashan, Thoda Pyaar Thoda Magic doing average business at the box office. Rab Ne Bana Di Jodi might well be the silver lining around this rather dark cloud.